The next part of the beauty routine are powders. Whether they are setting, blush, bronzer, or highlighting powders, all bridal makeup looks call for them, especially one for a beach wedding. Dry skin girls that means you too! While you may typically get away with not using setting powder and using cream color products, your wedding day mainly calls for powders. You want your makeup to last long and throughout the evening, and you want to avoid the extremely dewy look in photographs. A light dusting of setting powder will do wonders for the longevity of your foundation while still letting the finish from the foundation come through. The keyword here is “light” – you do not want too heavy of an application or the makeup will become ever so visible and noticeable, especially through HD lenses. Additionally, powder color products (blush, bronzer, highlight) dramatically reduce the shininess factor compared to their cream counterparts. Regarding your setting powder, if you are not going to use a translucent setting powder find a shade closest to your skin tone and color. If anything, you can always go a shade lighter if you are not sure. Also keep in mind the finish of the powder. While you may like glitter or shimmer to your everyday setting powder, flash photography will enhance those glitter particles. So for the wedding day, try to find one without any detectable particles. Along with foundations, powders can cause flashback with photography. This article (mentioned in the Foundation post) has great information on the ingredients in cosmetics that cause it. This article was godsend when I could not find out for the life of me why my beloved MAC Studio Fix Powder Plus Foundation was flashing back horribly in photos! MAC is known for creating great stage makeup so I just assumed it would be great for a wedding, particularly because it is such a long-wearing powder. After much research, I found out that their powder foundation is not meant for flash photography. The second ingredient listed is silica, which is infamously known for creating that ghost-face. So I decided to try a few other powders. I also had at the time MAC Mineralize Skinfinish Natural powder (popularly known as MSFN). While not full out giving me a white cast to my face, the powder caused my face to appear to be a few shades lighter in photographs. The second ingredient listed for this powder is mica, another pesky culprit. So I decided to look through the powders that Sephora sells. Almost every single powder has either silica or mica listed in the main ingredients section. I was getting pretty frustrated. Until one day while I was cleaning up my apartment I looked at my college graduation picture. I remembered that last summer I was using L’Oreal True Match powder and that I had no flashback. I went out and bought it, tested it again just to make sure, and it looked great! Does a great job of setting my makeup and keeping me matte. Mica is only listed in the “May Contain” section and is not a primary ingredient. I highly suggest this powder for normal, combination, and oily skin types. It has a great color range for a drugstore powder and is in a great compact that can easily be brought with you on the wedding day for touch-ups. 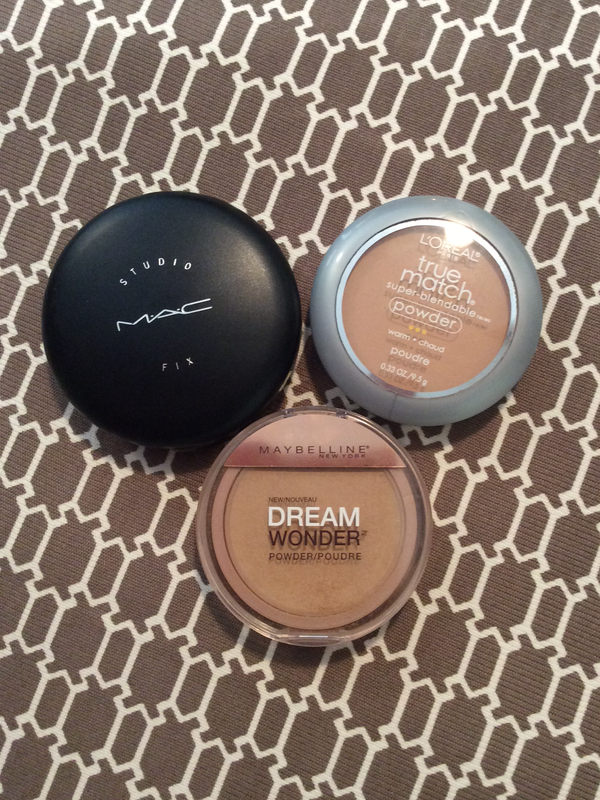 While I was at the drugstore I ended up picking up Maybelline Dream Wonder powder to test as well. Similar to the True Match powder, there is no silica in it and mica is in the “May Contain” part of the ingredient list. This also photographs beautifully! I really love how natural this powder looks on the skin! Sadly, though, I do not feel it is as mattifying as True Match is so I highly suggest this for dry skin and possibly normal skin as well. It also comes in a compact form with a sponge and mirror. Finally, to bring some color and dimension back into your face, you will want to use a bronzer, blush, and subtle highlight. While these do not have to be matte, if you would like to use ones with shimmer or glitter, make sure they have micro-glitter particles. If you found a shimmery blush or highlight that you would like to use, test it out beforehand using the flash from your cellphone. Another note about color products is that they are often washed out in photographs. So come your wedding day, you will need to apply more product than normal but not enough to look clownish. If you do wish to contour, find a neutral- or cool-toned bronzing powder and make sure you blend blend blend!! This is so important. You do not want to get your pictures back with the “candy bars” under your cheek bones. Just remember with everything that you want to look back at your makeup from that day ten years down the road and be glad that you had a timeless look. Hope these tips have helped and hopefully my next post will be about face primers and setting sprays!